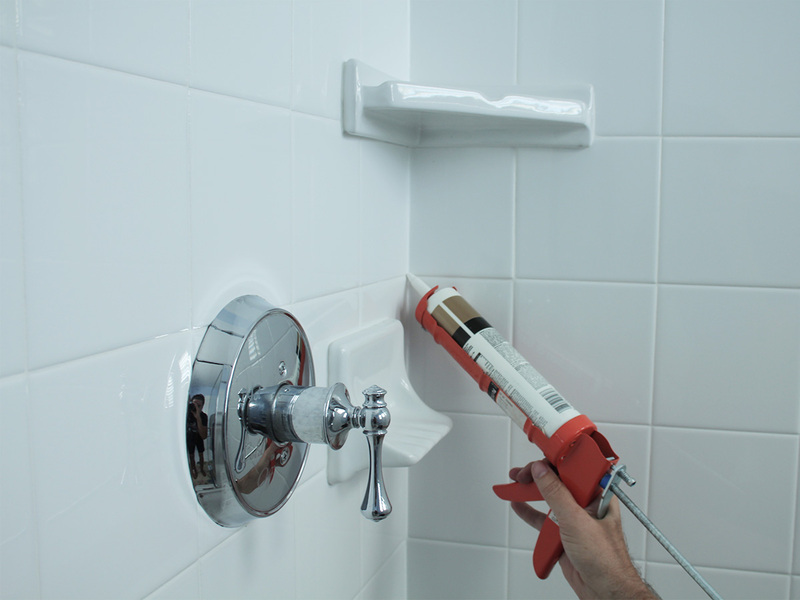 Caulking breaks down over time in a bathroom between various plumbing fixtures and floor joints in a bathroom, especially around sinks, bathtubs, and showers. If you don’t replace this worn out caulking, water can get under your floor tile and cause damage to the tiles, wood baseboards, and the sub-flooring itself. Make sure to inspect and replace caulking periodically. In order to remove the old, worn out caulking, you will need a utility knife, razor blade, and an old tooth brush. Cut the old caulking out with the utility knife and remove as much of the old caulk as you can. You might want to use the brush to get out any mold or mildew. Make sure to use a caulk designed for kitchens and bathrooms, and choose the color you want. You also need a caulking gun to apply the new caulk to the joints. Here is a great video from Ron Hazelton to show you how it is done.